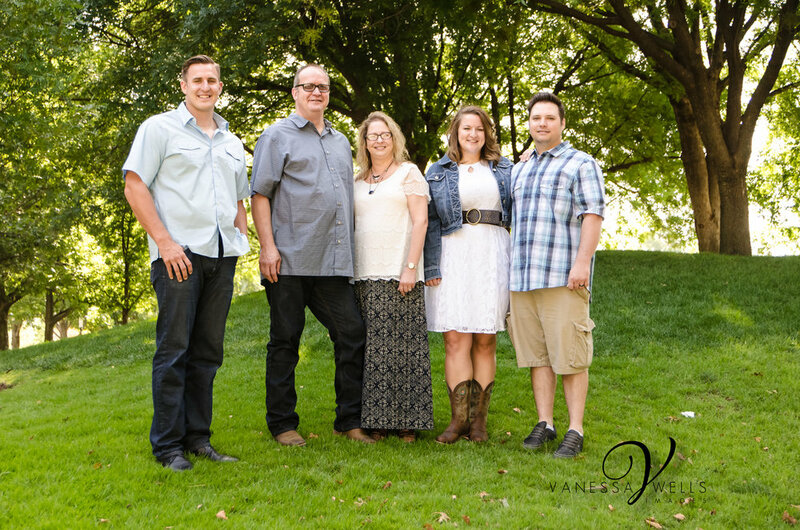 You have made an appointment with your photographer to finally get some updated family portraits to decorate your home. That's the easy part. The hard part it seems is what to wear and how to get everyone to coordinate with each other. Don't despair, below are some helpful tips. You don't need everyone to match like the old bowling days. I know I was a bowler many moons ago. Great for the team, not so much family portraits. I like the KISS method...Keep It Simple Silly. As long as everyone coordinates then the rest is gravy. So Grab a cup of coffee and read these handy tips. 1. Coordinating colors, not matching. The days of everyone wearing a white shirt and matching shirts are gone. Instead, pick a color scheme and choose a couple of colors that fit in with your plan. 2. Look at your home decor. Do you like bright colors? Neutrals? You will be decorating your home with these works of art, make sure the colors of your clothes go with the color scheme of your home. Accessories can totally change an outfit and they can be fun to use in your photos as well. A hat to hide behind or necklaces for the kids to play with. Try to avoid patterns as it draws they eye away from the subjects face and distracts from the final image. 5. Look for clothing collections. When shopping for clothes for your children, purchase from stores that usually cary color coordinating collections. Purchase clothes for the kids from one store. This helps ease the worry and stress. When you have booked your session, that is the perfect time to start thinking of your clothing choices. You may think certain clothes will fit your kids or that once dress is clean. Please don't wait until the day of or before you may run into an issue of clothes not fitting, being dirty or need to be dry cleaned. 7. Say no to characters. 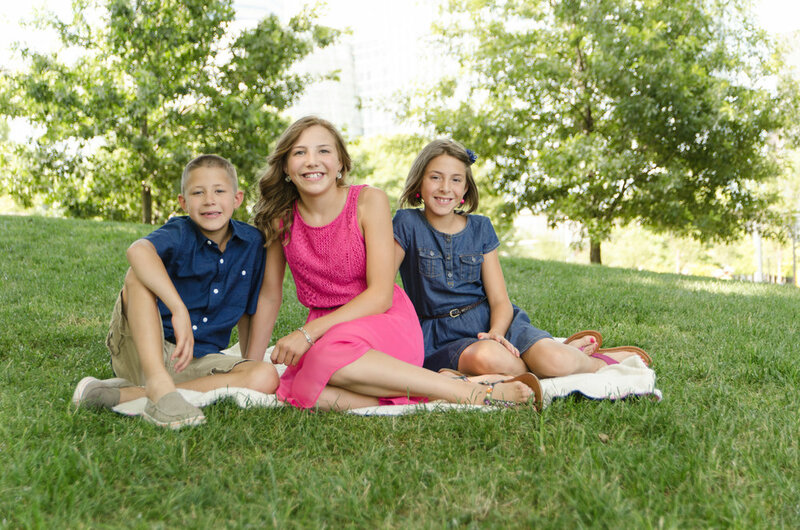 We all know the little's love their Toy Story or Barbie shirt, however you may want to skip it for the family photo session. Just like patterns, characters on the shirts can be distracting. Besides in 10 or 20 years you don't want to look back and see Barbie or Buzz Lightyear in the middle of the photo. Leave those to everyday attire or pajamas. 8. Avoid all white or all black clothing. If you're waring all white shirts, there is a very good chance parts of your shirt will be blown out causing it to lose its detail and look like a blob of nothing. The same thing can be said with all black, it's easy to have the black get locked up and all detail will be lost. 9. Textures are your friend. I'm a big fan of cotton shirts, as long as they are pressed nicely and not wrinkled. However, in photographs its nice to add some texture like scarves or belts to add a little more to the image. Don't shy away from adding different textures. If you're taking photos in front of a backdrop, consider what you are wearing. For example, don't wear black if you're on a black background, otherwise you will have a floating head. True story I was a floating head in one of our family pictures. We laugh about it today, but still looks weird. Now that school is getting ready to start and summer is coming to a close. 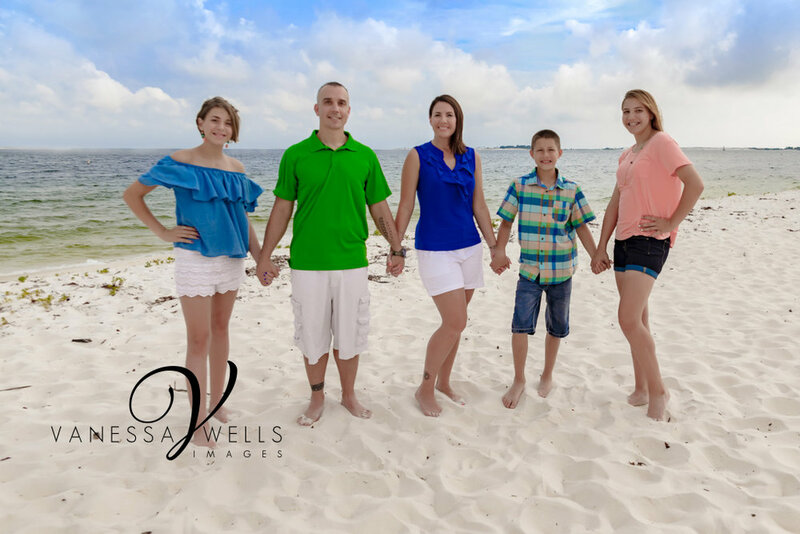 Christmas will be quickly approaching, it's a good time to schedule your family session. Portraits make great Christmas gifts. Contact me here and we will set up a time to visit over coffee and a danish too.